How Far is Sukhibhava Township? Sukhibhava Township is one of the popular residential developments in Hyderabad. It is among the Completed project of its builder. It has lavish yet thoughtfully designed residences. Sukhibhava Properties Private Limited is incorporated as a private limited company in the year 2014 with the sole aim of conducting business in the areas of land development, housing and infrastructure. They are a new entry into Hyderabad real estate which is led by a team of experienced people who are expert in their own field, who will always respond to your queries. 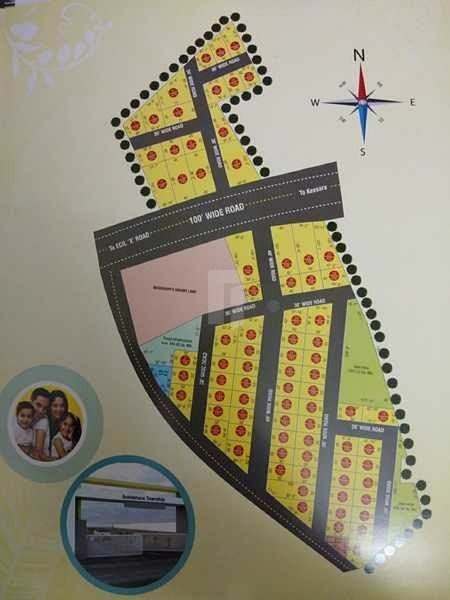 Since from the inception they started developing residential plots well equipped with all modern day’s amenities and basic facilities and marketing them which has created many thousands of marketing and sales jobs for young and aspiring educated youth. an example for their excellent work is Vanamali Township in Hyderabad at Yadagirigutta which offers plots. They have constructed 380 Acres of land till date, their team's main aim is customer satisfaction, they think “Today’s Success be the beginning of Tomorrow’s Achievements”. They be doing expansion, through phase wise, and will start more new ventures and increase their services for both Indians and Overseas. · Large scale Land acquisition. · Land development for open plots. · Undertaking housing projects i.e., residential towers, villas and customized housing for governments and private organizations.